My third post, and the first one to be drawn by a guest. The wonderful Carlo drew this for us, and I’ve learnt a lot from him. Now, if you want to get in on the act, I accept all comers. 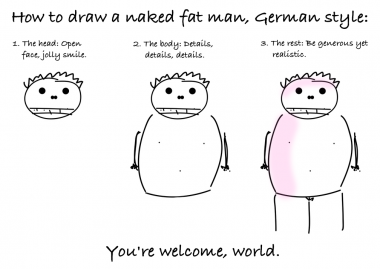 Just draw a naked fat man and you get a place here on the site.